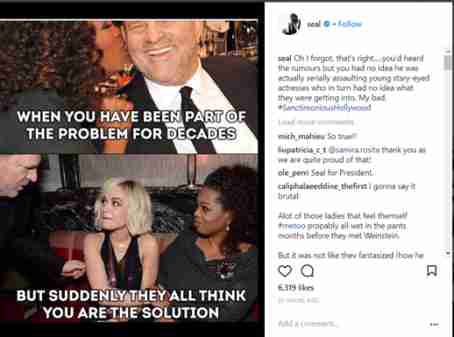 Seal has walked back criticism of Oprah Winfrey he made in an Instagram meme that went viral. in a video clip he shared to Instagram and Facebook Thursday, he claimed that he wasn't targeting Oprah specifically, but the industry in general. 'Let me start by saying that I have an enormous amount of respect for everything that Oprah has achieved and contributed in her life,' Seal said' What I reposted was not an attack on Oprah at all.